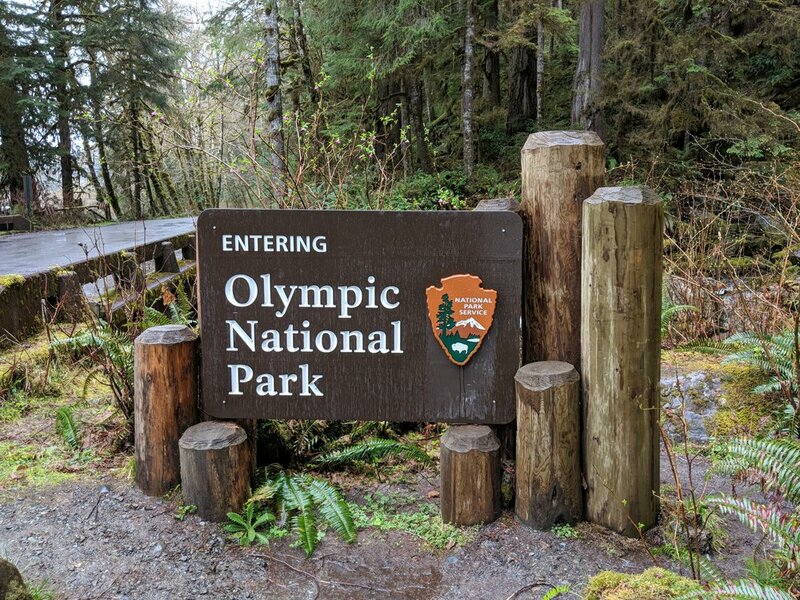 I had been to the Hoh Rain Forest before, but had never even heard of Quinault until my most recent visit to the Olympic Peninsula. 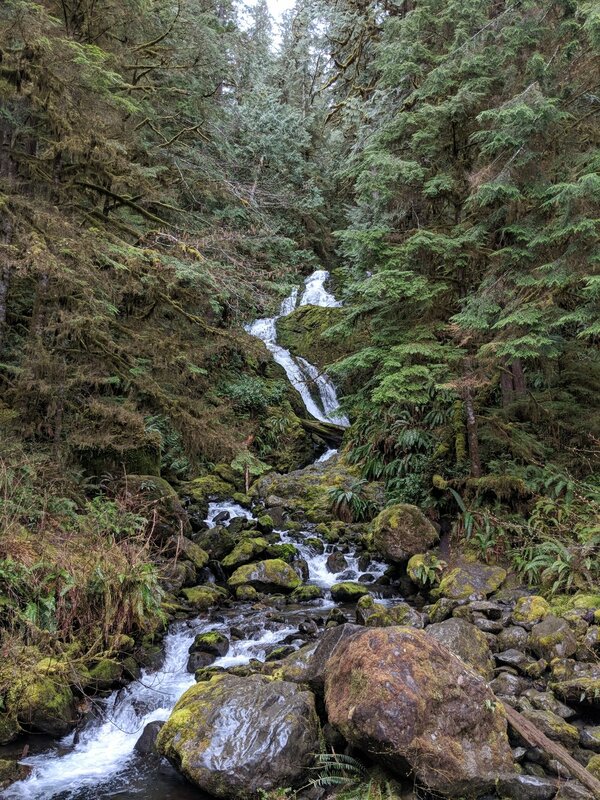 I was making my travel plans and took the suggestion of an awesome guidebook, and several people, to explore the Quinault area. I didn't quite know what to expect, but I left from breakfast at the Kalaloch Lodge with an open mind and nearly an empty tank of gas - so I had to stop anyway. I gassed up, turned on to the South Shore Road and was instantly in love with the area. 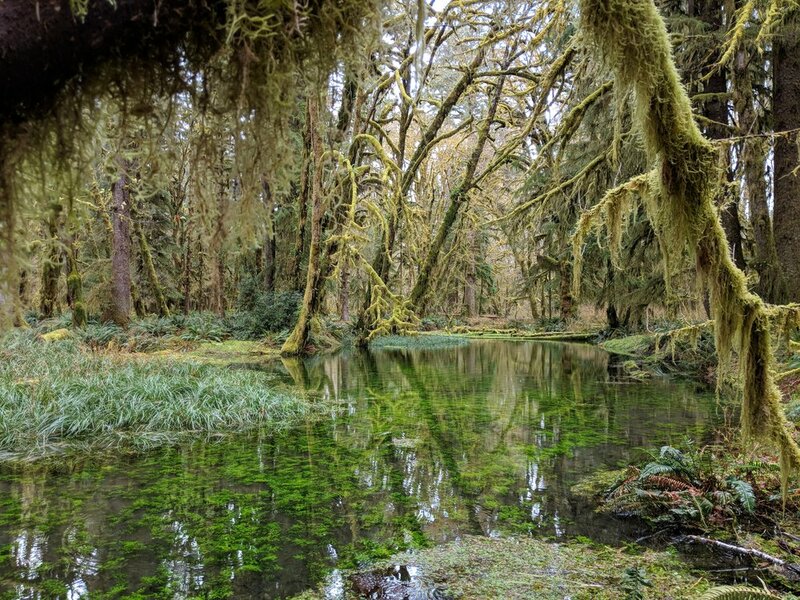 Highlights: Gorgeous lake views, rivers and creeks, waterfalls, moss-covered trees, mountain views, and more. I drove South Shore Road, with a few stops to walk around, deep into the valley and back on the North Shore Road. Do it however you want, but make sure you drive the North Shore Road. Enjoy the forest, wherever you can! You technically enter the National Park along the dirt road deep into the valley, I'm assume after leaving it for Olympic National Forest. The borders and boundaries flow together. Bunch Falls - just behind the sign in the first photo. The road narrows further into the woods and as it comes around and becomes the North Shore Road. The North Shore Road is more scenic with less houses and resort stuff overall. Here's a narrow spot with a steep drop-off! 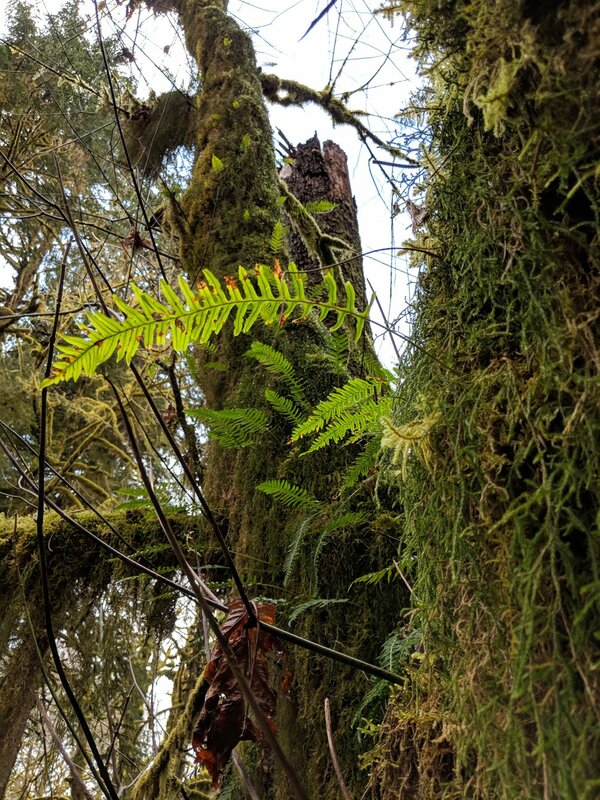 Along the Maple Glade trail, you'll follow a creek with vibrant green plants, moss covered trees, and plenty to see. As you walk or drive through, you'll notice how these plants all live together - dependant on one another for survival. A panorama along the Maple Glade trail. You must see it in person to fully appreciate, but this is a good preview. Stunning natural beauty. Older Post#WayBackWednesday - Ruby Beach!